I recently had the chance to have a good play with the new cordless hammer drill, drill driver and impact driver from Dewalt. As one who wouldn’t normally touch the brand due to the turbulent relationship that we’ve had in the past, I was more than surprised by how good these new tools are. Read my full article here, Is this the new Dewalt, and as always, stay in touch and let me know if you have any thoughts or comments on the article. I just wanted to say that I love the blog. I’m doing something similar over at my blog (.http://tinkererstoolchest.wordpress.com/), but I am just getting started. I guess you could say that mine is a slightly more eclectic collection of thoughts and projects. I’ll be following your blog from now on. Keep up the good work! Thanks for the kind words tinkerer. It’s always good to get feedback. Personally, I’ve had nothing but great results with Dewalt and used one of their cordless drills a long time with great success. It had plenty of power which was great for large jobs where I had to go in and hang 700 pictures on walls with aluminum studs or that were constructed of hardwoods or even of rock. I’ve thought about using cordless in my shop as I get tired of moving cords around. What is your recommendation? I agree that this drill probably woldun’t stand heavy industrial use but it has already proved it’s worth for me and is man enough for routine DIY tasks. I would be classed as a fairly heavy user in this category and am delighted with it’s performance; an upgrade version with hammer facility would be a bonus but (a)My usage woldun’t justify that and (b)I alrady have an excelent Bosch for the heavy duty stuff; well satisfied with the build quality and extra battery; at the pice, a snip. Thanks for your comments, it’s away good to hear from my readers. 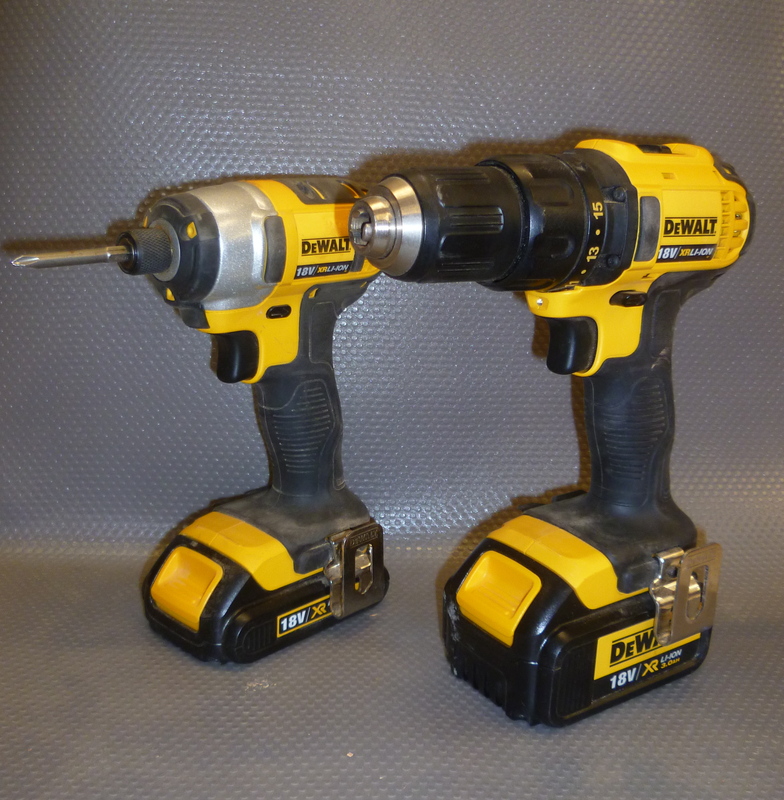 Keep an eye out for the new 18v Dewalt impact driver with 4.0ah lithium ion batteries. It’s just been released in Australia. I’m hoping to get my hands on one soon to do a full review.